Police officers are given broad powers to carry out their law enforcement duties, yet sometimes they go too far. Statistics in Chicago show that incidents of police brutality and police misconduct cost Chicago taxpayers more than $45 million in the three years from 2009 through 2011 for all the settlements and judgments. Police misconduct occurs when a police officer engages in willful, unreasonable conduct. When the officer’s conduct literally crosses the line and violates an individual’s constitutional rights, then the victim should consider filing a lawsuit, according to Smith. Types of misconduct include false arrest or false imprisonment, malicious prosecution and the use of excessive force. False arrest is the most common form asserted against police. A victim must be able to prove in court that the arresting officer lacked probable cause at the time of the arrest, says Smith. 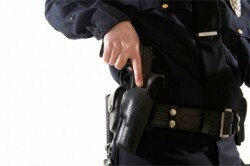 Malicious prosecution means that the officer wrongly deprived the victim of his Fourteenth Amendment right to liberty. To win this claim, the victim must prove that the lawsuit ended without a conviction, that there was no probable cause for the behavior and in fact that it was malicious in intent. Claims of excessive force get the most publicity, according to Smith, in part because it seems the most outrageous and can lead to serious injury and even death. Smith says it is important for victims of alleged police misconduct to document and collect evidence as soon as possible after the incident. This includes the use of video and audio recordings, the names and contact information of any witnesses, and photos of any injuries and objects such as torn or bloody clothing.